When you are choosing options for your home, there are two important qualities to look for. You’re going to want to find items that are durable and affordable. This means you are buying things that are inexpensive, but they also last a long time. Finding durable hardwood floors doesn’t have to be a hard task. There are certain types of hardwood floors that are more durable than others. We listed the most durable hardwood floors, so you can choose a flooring that will stand the test of time for your home. Although sometimes it takes a lot of maintenance to keep up with solid hardwood flooring, it still proves to be one of the most durable. There are plenty of homeowners that have had their solid hardwood flooring since they bought their home years ago. When you take care of your flooring and clean it often, then you’ll see a huge difference in how long it can last. 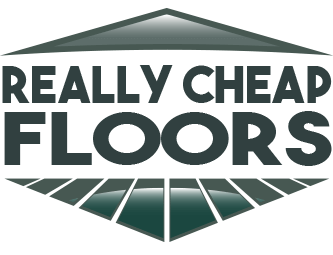 It’s important to choose the right species of floor so be sure to do your research and look at what solid floor species last the longest. Pro Tip: The first and foremost layer of protection for your hardwood floor is your floor finish. Choosing a durable finish can be the key to making sure your floors don’t need to be replaced. This type of flooring has become a popular hit among homeowners in recent years. 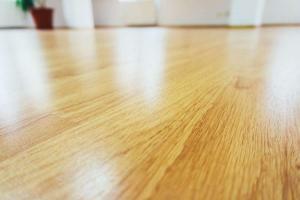 Its look, feel and cheap price tag have all contributed to the success of bamboo flooring. It looks amazing in homes, but it also lasts a very long time. Bamboo flooring has great durability. The high-quality brands of bamboo flooring have 7-8 coats of resistant finish which is what really helps make it stronger. It is also a very eco-friendly option for those who want to also be conscious of the environment. Is there anything that laminate flooring can’t do? This flooring is a hit among homeowners looking for that hardwood look but who also want to save money in their home improvement budget. This is a great floor for those high-traffic rooms that family members love to gather in. It is a water resistant option perfect for kitchens and bathrooms. You really can’t go wrong when you choose laminate flooring for your home. It is one of the most durable hardwood floors around. Pro Tip: Most manufacturers offer a 25-year warranty against wear and tear, so be sure to ask about what kind of warranty you can get with your purchase. This is a good way to get reassurance that you have options in case something happens to your flooring. Our inventory is full of some of the most durable hardwood floors. We sell both solid hardwood floors and laminate flooring. All of our floors are made in the USA, so you can rest easy knowing where your purchase came from. Browse our laminate flooring to find an affordable option and feel free to ask our sale associates any questions you might have!